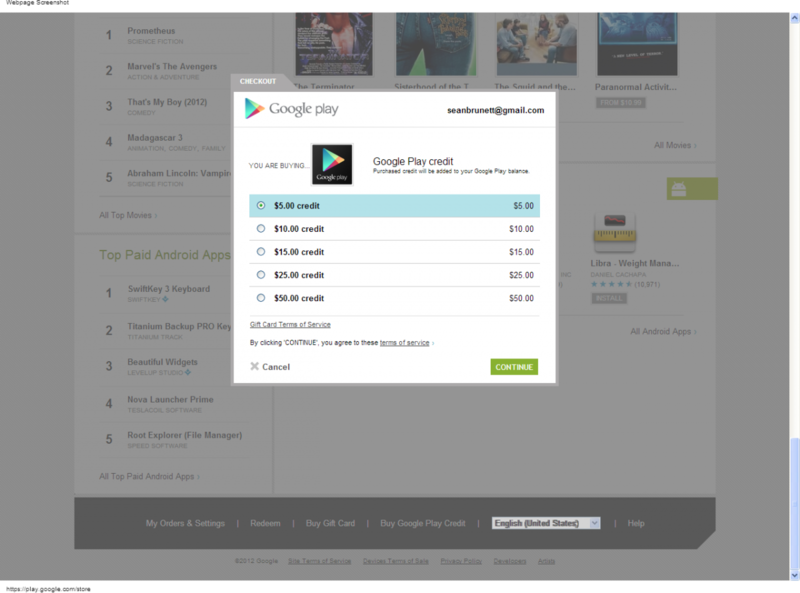 It seems that Google has enabled an option in the web version of the Play Store that allows users to directly buy Google Play credit. If you're in the web version of the Play Store, scroll to the bottom and you'll see an option that reads "Buy Google Play Credit." You can purchase credit in increments of $5, $10, $15, $25 and $50 and it seems that you can only buy the credit for yourself thus far, so no gifting. No word yet on how many markets, if any, are supported outside the U.S., so if you are elsewhere and are seeing this option, let us know in the comments. Source: Google Play Store; thanks to everyone who sent this in.